Durvalumab is a human immunoglobulin G1 kappa (IgG1κ) monoclonal antibody that blocks the interaction of programmed cell death ligand 1 (PD-L1) with the PD-1 and CD80 (B7.1) molecules. AUNP-12 is an immune checkpoint modulator and also a PD-1 pathway inhibitor. Avelumab is a fully human IgG1 anti-PD-L1 monoclonal antibody with potential antibody-dependent cell-mediated cytotoxicity. Atezolizumab is a fully humanized, engineered monoclonal antibody of IgG1 isotype against the protein programmed cell death-ligand 1 (PD-L1). 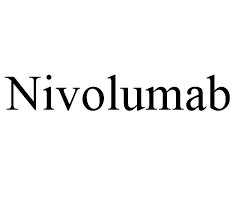 Nivolumab, marketed as Opdivo, is a humanized IgG4 anti-PD-1 monoclonal antibody used to treat cancer. PD1-PDL1 inhibitor 1 is an inhibitor of the PD-1 /PD-Ll protein/protein interaction, is an immunomodulator. 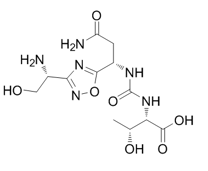 BMS-202 is an inhibitor of the PD-1/PD-L1 protein/protein interaction, mainly used for cancer treatment. Pembrolizumab (formerly MK-3475 and lambrolizumab) is a humanized antibody used in cancer immunotherapy. It is an IgG4 isotype antibody that blocks a protective mechanism of cancer cells, and allows the immune system to destroy those cancer cells. It targets the programmed cell death 1 (PD-1) receptor of lymphocytes.